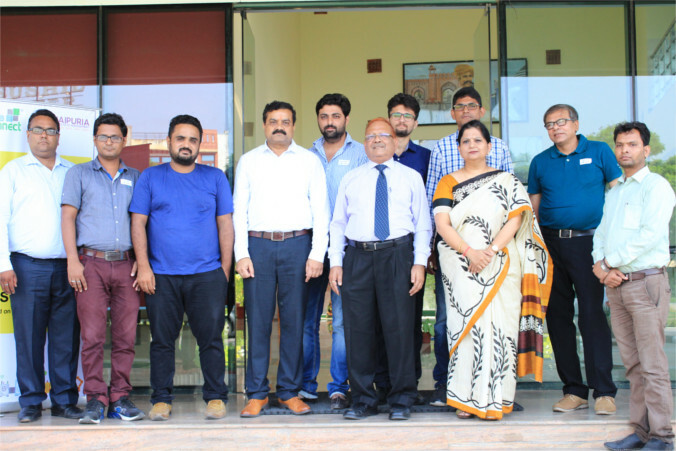 Jaipuria Jaipur in association with SMB Connect, New Delhi organized a MDP on “Productivity Improvement” for SME organizations based out of Jaipur. The program was attended by SME owners, General managers, senior professionals and aspiring students from Jaipur based organizations. 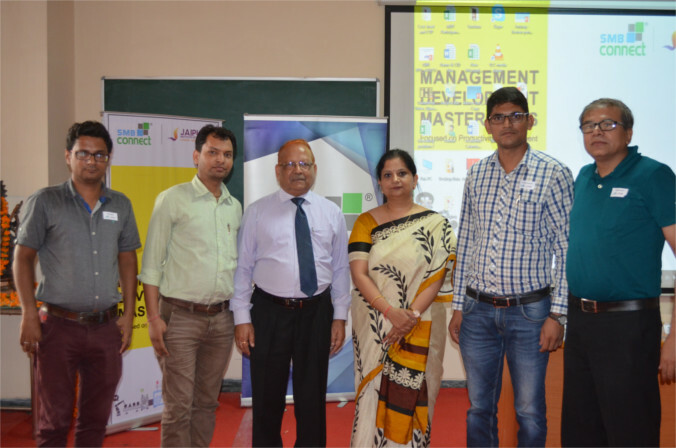 The facilitators of the program were Prof. Prabhat Pankaj, Prof. Prashant Gupta and Dr. Nidhi Vashishth. The learning focus was on understanding leadership styles and enhancing productivity through various leadership styles, Holistic view of productivity for long term benefits, success factors for enhancing productivity, understanding types of Wastes and ways to reduce elimination, and enhancing productivity through effective teamwork. Dr. Prabhat conducted session on Leadership and productivity improvement. He discussed various styles of leadership and how they impact on the work output. The session inspired to move towards leadership development. Prof. Prashant imparted knowledge upon holistic view of productivity for long term benefit, success factors for enhancing productivity, types of wastes, and ways to reduce elimination. The session of Effective Teams for productivity was conducted by Dr. Nidhi. Participants enjoyed the game on team work and in a playful way understood the pillars of good teamwork and importance of collaboration.